(Bloomberg) — Huawei Technologies Co.’s rotating chairman, speaking publicly for the first time since the shock arrest of its chief financial officer, warned that blacklisting the Chinese company without proof will only hurt the industry and snarl the advent of future wireless technologies worldwide. The company took swipes at the U.S. and its allies Tuesday during its first press event since CFO Meng Wanzhou was detained in Canada on allegations she defrauded banks to violate Iranian sanctions. The daughter of billionaire founder Ren Zhengfei, she now faces extradition in a case that’s sparked a diplomatic row, chilled travel to China and exacerbated fears Beijing could employ its networks for espionage, something Huawei’s always denied. China’s largest technology company by sales has rapidly become a lightning rod for America’s fears about the Asian country, as tensions between the world’s two richest nations escalate. In Europe, carriers and major customers from Orange SA to BT Group PLC and Deutsche Telekom AG have voiced their concerns about Huawei’s gear, on top of existing bans in Australia, New Zealand and the U.S. That unprecedented backlash comes at a critical juncture for a company with ambitions of leading the rollout of fifth generation (5G) wireless, a technology expected to power-up a plethora of devices from smartphones to cars. While Huawei wouldn’t address Meng’s case directly, the company reiterated that it abides by international law and is confident the judiciary will come to a fair conclusion. More broadly, it challenged its accusers to produce actual evidence of their claims about security or — at the very least — to share them with Huawei’s customers. Meng’s arrest was regarded back home as an attack on one of China’s foremost corporate champions. While Alibaba Group Holding Ltd. and Tencent Holdings Ltd. dominate headlines thanks to flashy growth and high-profile billionaire founders, Ren’s company is by far China’s most global technology company, with operations spanning Africa, Europe and Asia. Its ambitions include artificial intelligence, chip-making and 5G wireless. That last effort — a massive push to gain a prominent say in the future of mobile and internet communications — has raised hackles in the U.S. and become a focal point for American attempts to contain China’s ascendancy. Hu said he’s seen no immediate impact on Huawei’s business stemming from the allegations against Meng, reaffirming that the company’s revenue will surpass $100 billion this year. But the U.S. has been pushing governments for months to block Huawei from telecommunications networks. That strategy is now taking hold in Europe, where the Chinese technology giant is bleeding allies. “This is not putting the focus on how to improve and perfect the technology, but is speculation targeting specific companies out of political considerations,” Hu said. The heightened scrutiny comes at a critical moment for Huawei’s ambitions in Europe, its second-biggest market outside of Asia. European phone companies are getting ready to order tens of billions of euros worth of equipment for 5G networks and Huawei has spent more than a decade positioning itself to win much of that work. Yet the outlook may be dimming for Huawei there. European officials and companies, initially slow to act on the U.S. warnings, have increasingly distanced themselves publicly from the equipment supplier. Even before Meng’s arrest, Huawei had expressed frustration with the way it’s perceived by governments, most recently in the U.K., where it’s regarded as less than fully secure. On Tuesday, Hu warned that barring Huawei would only hike overall costs and hold up much-needed infrastructure. “From a deployment cost point of view, it will be significantly higher and will delay time-to-market of new technologies,” he said. 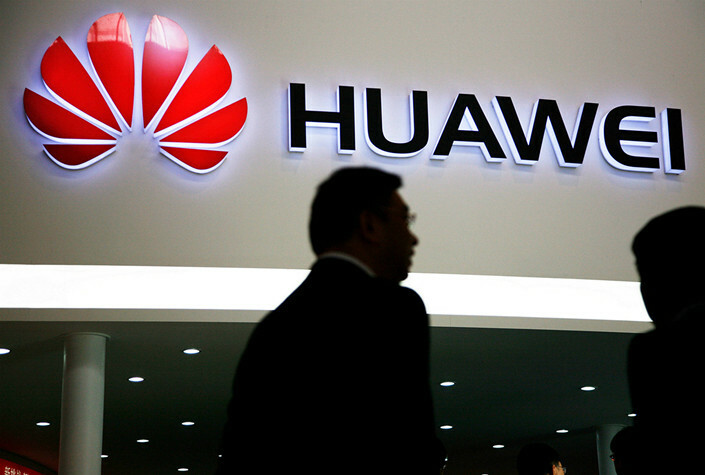 In response, Huawei is planning an overhaul of its global software systems. It’s offering to spend at least $2 billion to transform the way it engineers software, instead of merely applying one-time changes and workarounds in response to specific demands from companies and governments. That work will continue until all security concerns are assuaged, people familiar with the matter have said. “We know there’re concerns so we’re willing to take the extra steps needed or go the extra mile versus our peers,” Hu said. The question now is whether the U.S., which is preparing its case against Meng, will also accuse Huawei of seeking to side-step sanctions — a move that may eventually trigger the same sort of moratorium on purchases of American technology that nearly killed off smaller rival ZTE Corp. Hu said he wouldn’t comment on something that hasn’t yet happened, but stressed that Huawei has spent years diversifying a supply chain that today spans 13,000 partners and involves more than $70 billion of procurement annually.